Over the holidays, my daughter received many gifts for Christmas. I was grateful for them and honoured to have love surrounding us. On the other hand, the choice of toys given to her did not inspire a great sense of happiness. Almost every present was pink, directed towards my daughter female status and unequivocally sexist. Toys can be great tools for child play; yet, connecting the meaning behind the toys we give our children needs to be seriously considered. Most of the time we are given two options: girl toys and boy toys. Girl-oriented toys often emphasize beauty over action and caretaker roles. Purses, dolls, barbies, and play dresses are common examples. Boy toys are more focused on active activities such as building, and they promote a rough and tumble ideology. Toy guns, action figures, and building blocks are typical. Both extremes of gendered toys have detrimental effects on how children associate with their gender and create a sense of self that is enforced by societal rather than individualized values. Baby dolls or pet animals indicate that little girls should focus on caring for the toy they are given, while barbies place emphasis on the importance of beauty and downgrade other skills. Toys targeted towards boys often challenge cognitive abilities by getting young children to create structures or address problem-solving skills using building blocks. The National Association for the Education of Young Children spoke with Judith Elaine Blakemore, a professor of psychology and associate dean of Arts and Sciences for Faculty Development at Indiana University−Purdue University, who said that gender-typed toys might encourage behaviour that parents may not want associated with their children. “For girls, this would include a focus on attractiveness and appearance, perhaps leading to a message that this is the most important thing—to look pretty. For boys, the emphasis on violence and aggression (weapons, fighting, and aggression) might be less than desirable in the long run,” she said. A 2013 study conducted by the University of Derby says that values embedded into children’s toys and play can affect career choices later on in life. Women are directed towards more caretaker roles whereas men fill the role of the engineer or lawyer. These defining gender gaps cause imbalance in society and initialize in values that are presented to humans at childbirth. The study also indicated that 81 per cent of parents wanted more gender neutral toys in stores; but there were only limited options available. Pink and blue marketing strategies make money and promote an early sense of consumerist desires through specific ad campaigns directed at children. In simple terms, gender sells. Toys directed specifically at boys are ideologically harmful as well. Limiting young boys to action toys and promoting the rough and tumble lifestyle excludes more creative and sensitive children, which can open doors to bullying. Boy toys also define action as an essential male skill, which can undermine the progress of academics. The lack of caregiving boy-oriented toys also takes away from an emphasis on playing a compassionate role in a family. international awards for being a toy with a positive message. 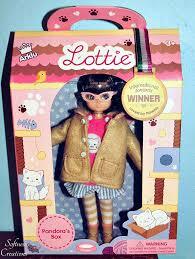 Lottie Dolls have a range of designs, from a robot to the animal protector, allowing girls to play with dolls that have empowered career roles in society. Women and men have fought for equality for generations. We live in a society that claims gender balance and embraces the dual power of having both women and men involved in career and family-building scenarios. It is only sensible that children’s toys should reflect this hard-fought need for gender equality. Dolls are welcome to stick around, but I have a dream that my daughter can play with a mechanic and mobile Barbie with a realistic waist, who doesn’t wear makeup. Let’s create that, shall we? 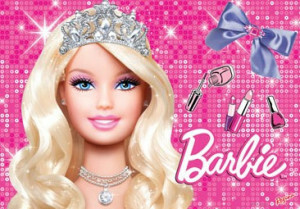 Share the post "Barbie vs. Lottie: the issue of gendered childrens’ toys".